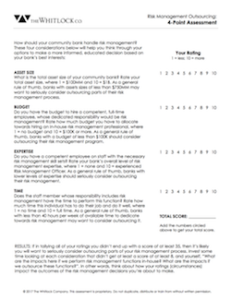 How should your community bank handle risk management? Hundreds of community banks we’ve helped over the past few decades have wondered the same thing. That’s why we’ve authored this 4-point risk management assessment to help you think through your options and make a more informed, educated decision based on your bank’s best interests.